Question: What is the relationship between Dzogchen and bodhichitta? Venerable Khenpo Rinpoches: The Dzogchen teachings are the highest teachings of Buddha Shakyamuni. From the Dzogchen point of view, everything is totally equal in one profound state, without duality and distinctions. 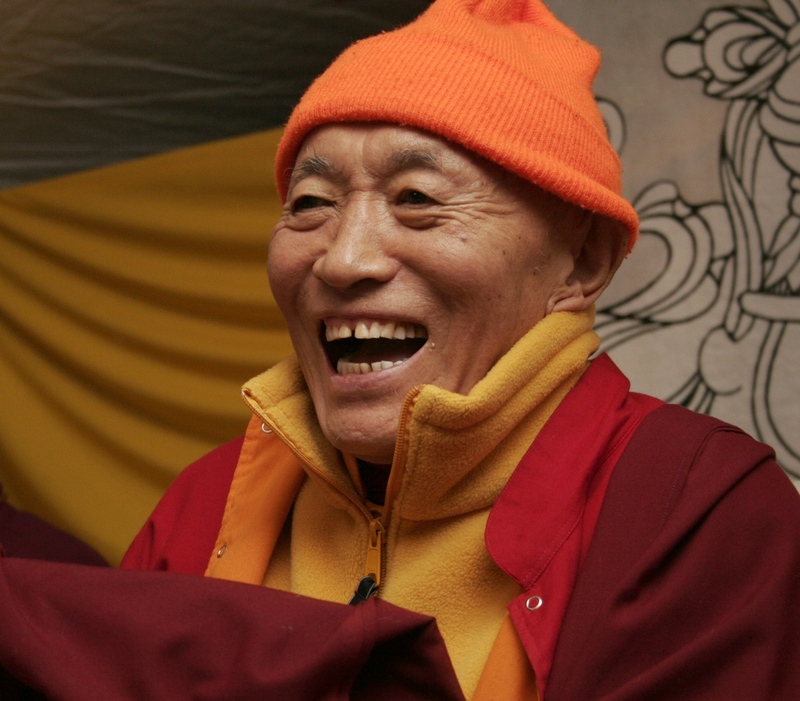 Dzogchen is the ultimate view of the true nature of mind, which includes love and compassion. When we practice Dzogchen we develop compassion and loving-kindness; Dzogchen practice cannot be separated from bodhichitta practice. We cannot ignore relative bodhichitta and accept absolute bodhichitta; both are part of our true nature and both are part of Dzogchen. For this reason, before we meditate, we take refuge and develop the thought of bodhichitta. After we meditate we dedicate the merit to all sentient beings. Whenever we practice or do any kind of beneficial activity, we should not cling to it. At the absolute level, everything is totally pure and perfect in great emptiness. From that point of view, we are completely free from all dualistic concepts and clinging. Until we come to realize the emptiness nature, we continue to follow our thoughts, judging things to be good or bad, better or worse, dirty or clean. Even while we are following our thoughts, the ultimate reality does not change. It is similar to the weather. When you see a cloudy, gray sky, you cannot see the sun, but that does not mean that the sun and the blue sky are not there. They are still there; the moving clouds do not affect them. Your thoughts are like the clouds that hide the sun of wisdom. When you reveal your inner wisdom and understand your primordial nature, all of your relative experiences become dreamlike. The objects you experience do not actually exist as the solid entities they seem to be. These dreamlike illusions are obscurations that come from your mind, and you must work with your mind in order to remove them. The obscurations cannot be burned away with fire or washed away with water, but they can be cleared away by bodhichitta and meditation. Bodhichitta and medit tion are the best cleansers. When you practice with bodhichitta you will be able to reveal profound treasures never previously available to you. Every person has the enlightened nature, but to actualize that nature it is necessary to practice bodhichitta, the love and compassion for all beings. Bodhichitta is universally precious; everybody appreciates it and everybody has the potential to develop it. Enlightenment is completely dependent upon developing compassion for all beings. The wish to attain enlightenment for the benefit of others is the essence of both the Mahayana and Vajrayana paths. When we develop inner wisdom, we can take care of all sentient beings, and radiate compassion and kindness throughout the universe. We can discover the true nature of the mind and of the entire world. In order to be able to do this, meditation practice is very important. Photo of Ven. Khenchen Palden Sherab Rinpoche at PBC Yeshe Tsogyal House in Nashville, Tennessee in 2009, by Libba Gillum Miller.